In time for the spring thaw, Donnelly launched their new CDG tire. That’s the airport code for Charles de Gaulle and a reference to Paris Roubaix. Developed for 4 years, the CDG borrows slightly from the Strada USH with its aggressive side tread to handle tight turns. The center tread is a completely new pattern that combines tightly spaced pyramids with measured, flatter recesses along the pyramid pattern to create a fast rolling center tread with plenty of traction. It should handle rough road and slick, tight turns like we have in Seattle and in the Spring Classics. It’s that transition into the turn or at the apex where crashes happen at Roubaix. That was the thought process behind the CDG.” Donn Kellogg explained in an email. 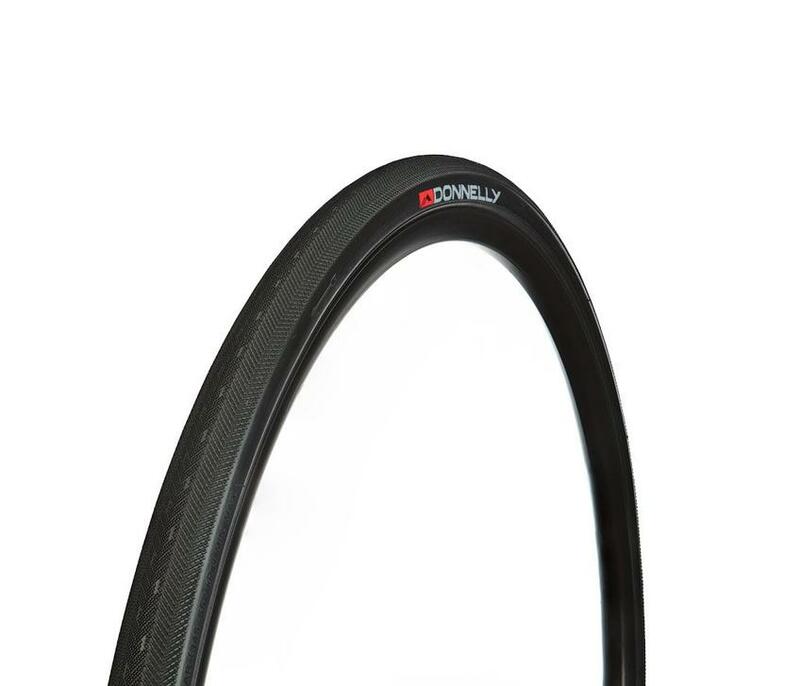 The Donnelly CDG is available now in a 700 x 30 tubeless ready version, weighs 420 grams and retails for $70. It fits most disc road bikes and all adventure or gravel bikes. A 700 x 30 tubular version is scheduled for late spring and will retail for $129.00. Unique center-tread pattern provides excellent grip in wet or dry conditions. Side nubs offer excellent traction while cornering. Tubeless ready. Can be used tubeless or with an inner tube. We’ve got a set of the CDGs on order and I’ll put them on the Modal for the rainy rides and then later my Open Cycles UP. The CDG launch follows Donnelly’s partnership with Nick Legan offering a free copy of Legan’s first book: Gravel Cycling ($15 on Amazon) with a purchase of any Donnelly tires. If you’re wondering, Donnelly was previously Clement ($34 on Amazon) and there is still some stock left of those very popular tires. I expect the new CDG to perform even better.